The Handmaid's Tale season 2, episode 7: What is the song at the start? Their coffins match their red cloaks and are starkly contrasted against the white snow on the ground. The haunting song that's playing throughout the sequence is My Life by Iris DeMent. 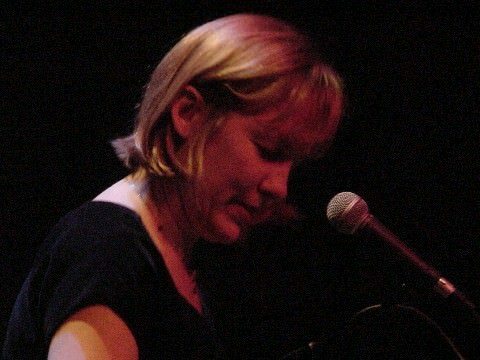 Iris DeMent is an American singer-songwriter known for her folk music. The Handmaid's Tale Recap: Who Did — and Didn't — Survive the Bombing? … new music from UK singer/songwriter, Ben Glover, Mipso, and Travelin' McCourys; also we'll hear the latest from David Francey and his new record, 'The Broken Heart of Everything'; plus favorites from Townes Van Zandt, Iris Dement, Jeff Black, and more. Iris Dement, 8 p.m. Dec. 6 at Capitol Theatre, Clearwater, $ 29-$ 39, on sale at 10 a.m. Saturday at the Ruth Eckerd Hall box office. • Simple Minds, 8 p.m. Nov. 9 at the Mahaffey Theater, St. Petersburg, $ 40-$ 65, on sale at 10 a.m. Friday at the box office.